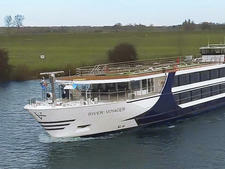 Part of the European river fleet owned and operated by Vantage Deluxe Travel, River Discovery II offers passengers a floating vacation on a par with the company's long-established land-based tours. 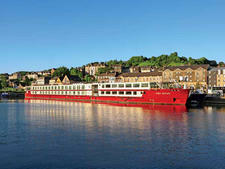 Launched in 2012, River Discovery II was the first member of Vantage's four self-designated "five-star" vessels. It will be undergoing an upgrade for the 2020 season, and the refit will include the addition of brand new cabins for solo passengers. There will be 14 supplement-free single staterooms -- six with French balconies -- plus eight adjoining cabins for families and groups of friends. In addition to regular cruises, the vessel will be used for new solo-friendly sailings where new initiatives will include "Solo Connections", exclusive onboard events for single travelers, plus a dedicated concierge service on every solo departure. Carrying 176 passengers in the same-size vessel that accommodate up to 200 on some other lines, River Discovery II is aimed at mature North American travelers with high expectations. These needs are met with a 4-to-1 passenger-to-staff ratio, a choice of four types of cabins -- 78 percent with French balconies and a higher than average number of singles -- and food geared towards the U.S. palate. Other notable features include leisurely, culture-rich itineraries. 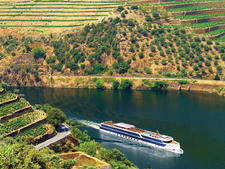 On some voyages, River Discovery II takes 10 days to cruise the same stretch of water that other lines cover in eight, providing more time in port and ample opportunity for passengers to explore on their own, in addition to joining the daily program of included excursions. Vantage only sells direct, thereby avoiding the use of travel agents, and cites this as one of the reasons it can deliver affordable luxury, which it certainly does. Don't expect outlandish decor or "in your face features." 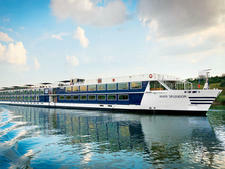 Instead, River Discovery II quietly and efficiently provides everything you need for a comfortable and relaxing cruise. In short, Vantage has a very clear appreciation of its core market and what cost-conscious passengers want. Vantage caters to the North American market, and River Discovery II's passengers are mainly Americans with a few Canadians. Most are 55-plus -- the majority seniors -- and well traveled. Many are fiercely loyal to the brand; on our cruise, one passenger was on his 19th Vantage trip. Vantage has also started selling its cruises in the U.K., so expect to see some Brits onboard. There is a very casual and relaxed dress code, more so than on ships that cater to Europeans. Comfortable attire, including sneakers or flat shoes for negotiating cobbled or uneven streets on walking tours, is more important than fancy clothes. The only rule for the main dining room in the evening is "no jeans or shorts." Passengers that prefer to wear denim when the sun goes down can opt for casual dining in the Captain's Club. Tipping is discretionary and can be paid in cash or by credit card with the onboard bill. Vantage recommends €10 per person, per day, which is divided between the ship staff and crew; €5 per person, per day, for the cruise director and concierge; €2 per person each day for city guides and €1 to 2 per person each day for local drivers. 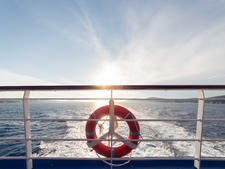 Unlike ocean ships, gratuities are not automatically added to bar bills. The onboard currency is the euro, and a dollar exchange service is offered at the front desk.